Quiet, private area with 2 security gates, has health club with gym, swimming lane, tennis, basket ball, football. 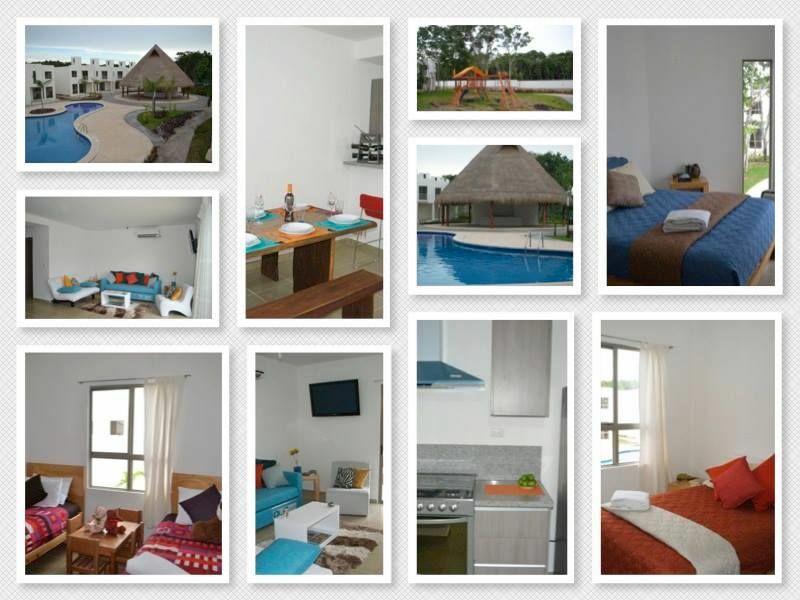 Equipped with 4 beds, kitchen, refrigerator, stove, washer, 2 parking spaces, shared pool and palapa. Internet and sky installed. Services not included.